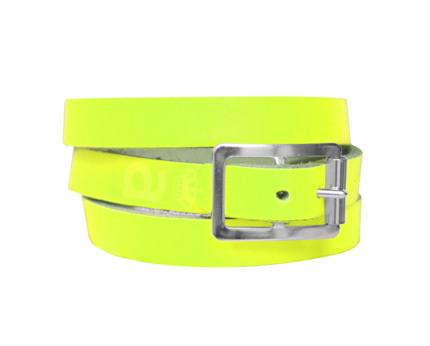 With neon accessories being a sure trend for the coming season, this Leather Wrap Around Bracelet from Anna Lou of London is a must have. Featuring a silver tone buckle fastening with five adjustable holes, this bracelet wraps around the wrist to create and eye-catching and stylish look. Crafted from real leather, this bracelet features the embossed Anna Lou logo for subtle brand identity.